Petroleum and natural gas still remain the single biggest resource for energy on earth. Even as alternative and renewable sources are developed, petroleum and natural gas continue to be, by far, the most used and, if engineering properly, the most cost-effective and efficient, source of energy on the planet. Contrary to some beliefs, the industry can, in fact, be sustainable, from an environmental, economic, and resource perspective. Petroleum and natural gas are, after all, natural sources of energy and do not have to be treated as pariahs. 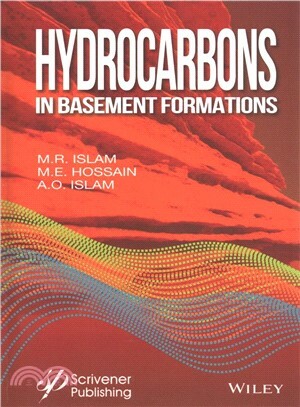 This groundbreaking new text describes hydrocarbons in basement formations, how they can be characterized and engineered, and how they can be engineered properly, to best achieve sustainability. Covering the basic theories and the underlying scientific concepts, the authors then go on to explain the best practices and new technologies and processes for utilizing basement formations for the petroleum and natural gas industries. Covering all of the hottest issues in the industry, from oil shale, tar sands, and hydraulic fracturing, this book is a must-have for any engineer working in the industry. This textbook is an excellent resource for petroleum engineering students, reservoir engineers, supervisors & managers, researchers and environmental engineers for planning every aspect of rig operations in the most sustainable, environmentally responsible manner, using the most up-to-date technological advancements in equipment and processes. M. Rafiq Islam is the President of Emertec R&D Ltd. and an adjunct professor at Dalhousie University, where he was Canada's first Killam Chair in Oil and Gas. He has over 30 years experience in teaching and research, during which time he has supervised over 150 graduate and undergraduate students and postdoctoral fellows and completed over $20 million of funded research. During his career, he has published nearly 800 research papers and dozens of books and research monographs on topics ranging from petroleum engineering to economics. M.E. Hossain is a professor at Nazarbayev University, Kazakhstan, where he is in charge starting a new program in petroleum engineering. Previously, he was Canada's first Statoil Chair at Memorial University of Newfoundland (MUN), Canada. Dr. Hossain authored/co-authored nearly 200 research articles, including seven books, focusing on reservoir characterization, enhanced oil recovery (EOR), drilling engineering and environmental sustainability. A.O. Islam is a research associate at Emertec R&D Ltd. He has been working on a number of projects related to nanomaterial and geometrical optics.